A Florida man who has been accused of killing his best friend on Thanksgiving claims the victim asked him to 'put him out of his misery'. 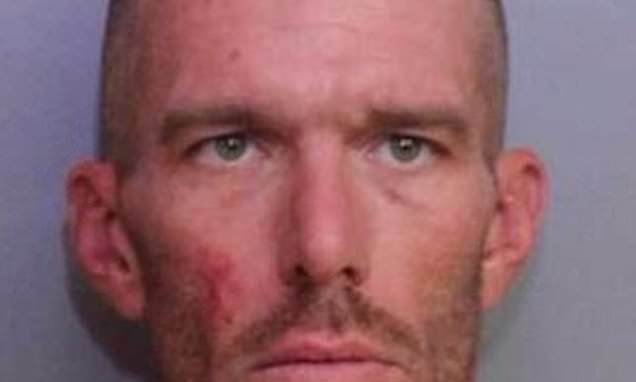 Steven Hunt, 38, allegedly shot Stephen Roberts, 45, in the head at his home on Lake Buffum Road in Lake Wales around 2.30pm. According to the Orlando Sentinel, Roberts and a woman went to Hunt's house to take him to Walmart. After they left Walmart, they went to Roberts' home. The woman told Polk County deputies that she went to shower while the two men talked in another room. After she got out of the shower, she heard a gunshot, according to the newspaper.